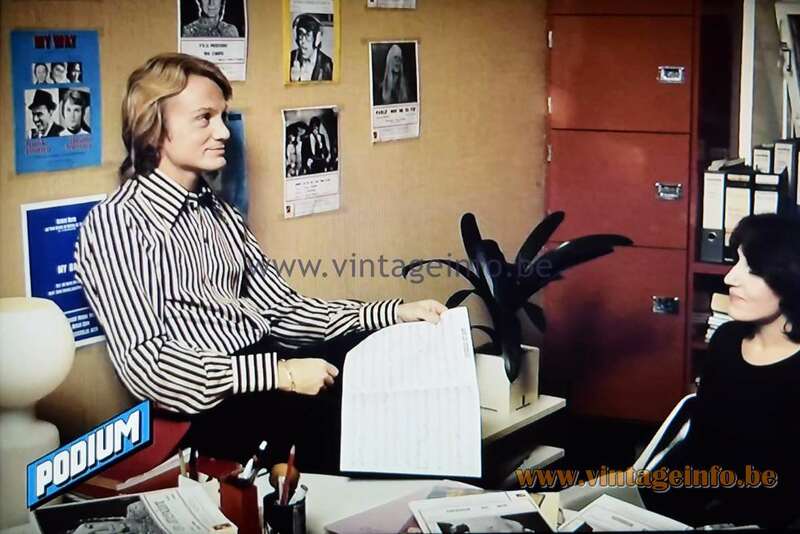 French singer Claude François (1939-1978), here in his magazine Podium in 1972 with the 1st edition of the Tobrouk table lamp. Claude François bought the magazine that year and made it a big success. 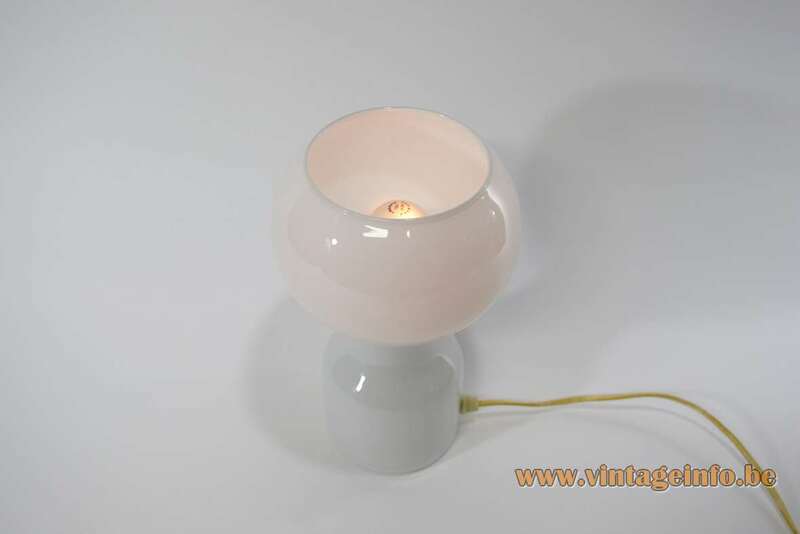 Materials: Completely made of white opal glass. Round base with globe on top. 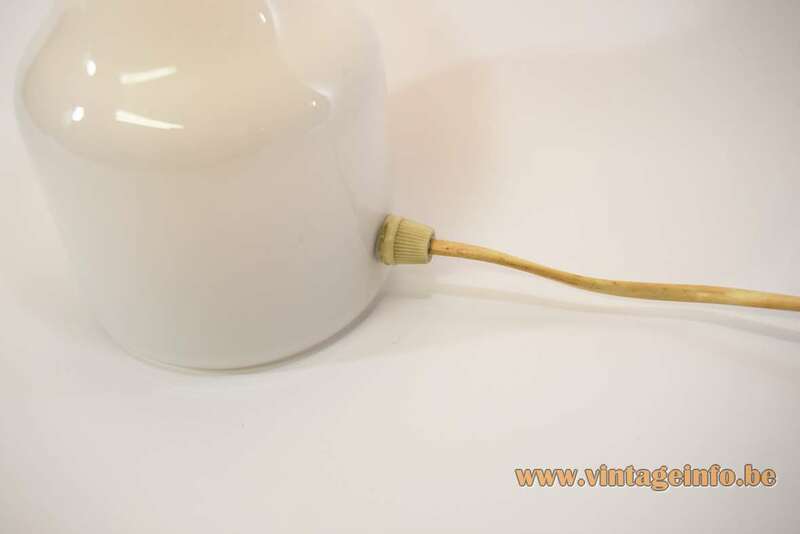 Brass rod, Bakelite socket. 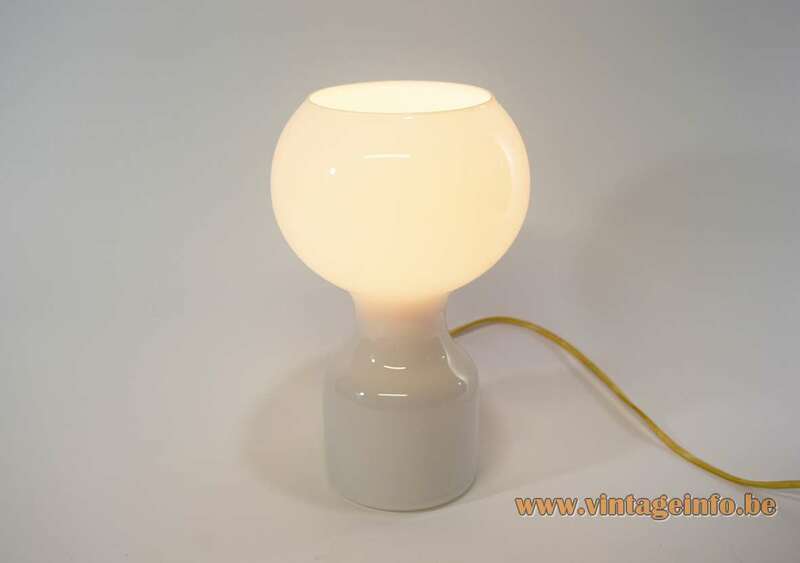 Any type of light bulb can be used, but preferably a small white or frosted one. 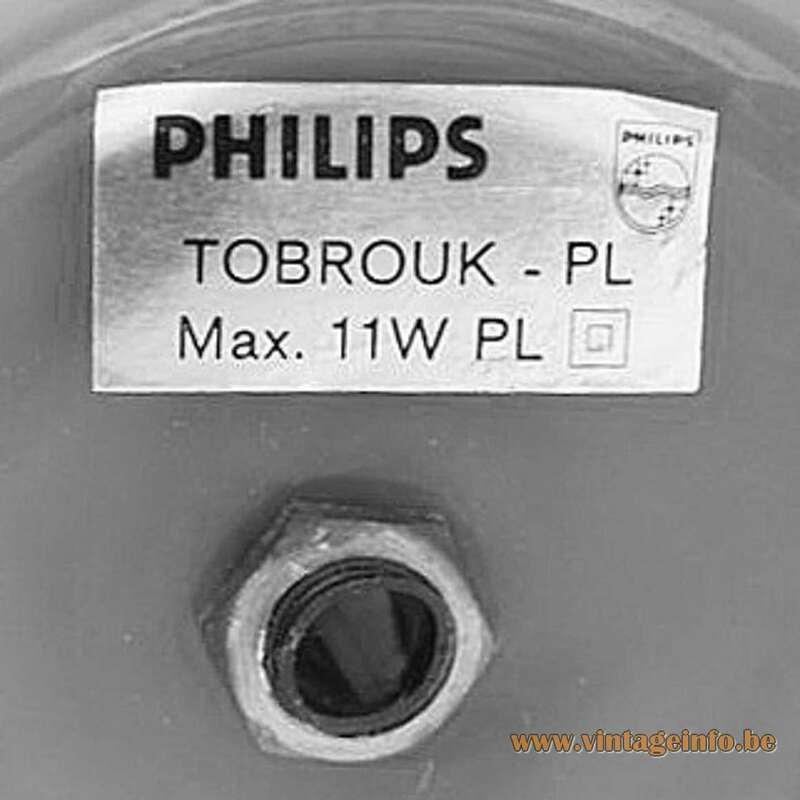 Manufacturer: Philips, Turnhout, Leuven, Belgium. Other versions: Made in several colours and a few versions. 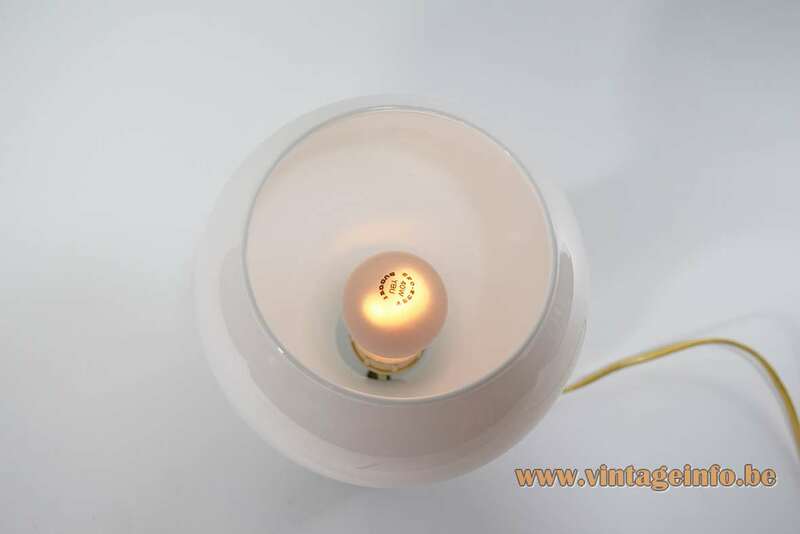 The version of 38 cm (14.96”) high is made with two light bulbs inside, one in the base and one in the top of the lamp. It was made in the 1960s and 1970s. The design is slightly different. 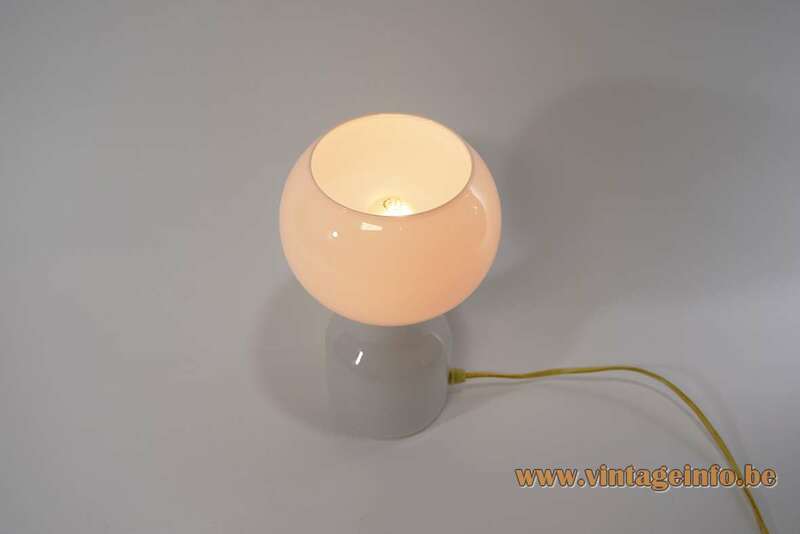 Later in the 1970s, early 80s they also made a this table lamp. 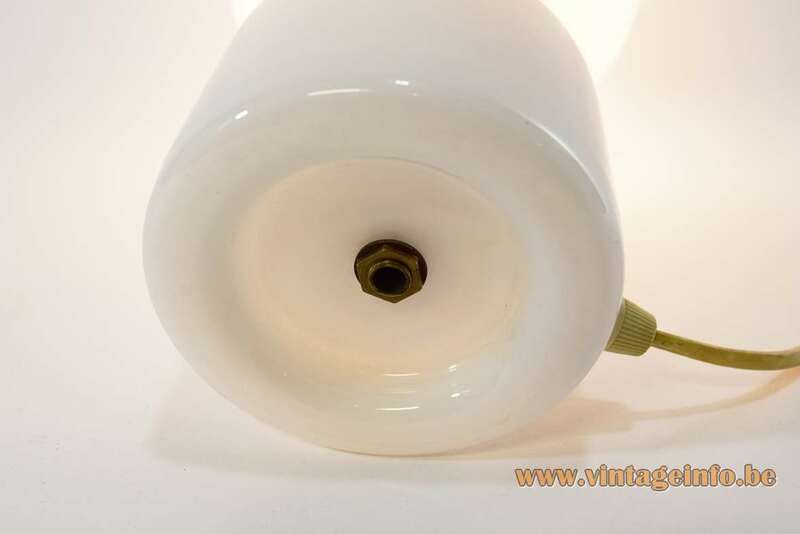 It was also produced with a fluorescent light bulb; the Tobrouk – PL with an 11 watt bulb. As you can see below. Jean-Paul Emonds-Alt was a Belgian designer, sculptor, and painter born in Etterbeek near Brussels in 1928. He died on 13 August 2014 at the age of 86. Emonds-Alt studied sculpture at the National School of Architecture and Decorative Arts (Ter Kameren – La Cambre) in Brussels, in the studio of Oscar Jespers, of which he later became assistant. 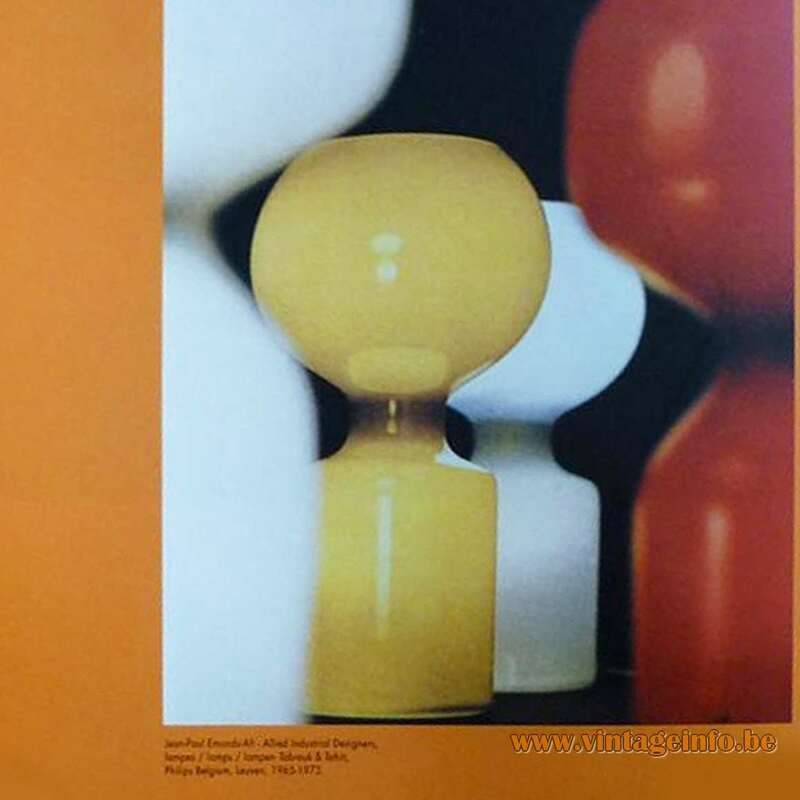 From 1964 onwards he devoted himself mainly to design, focusing on the shape of industrial products such as this table lamp he designed for Philips. He has been repeatedly honored for his work. 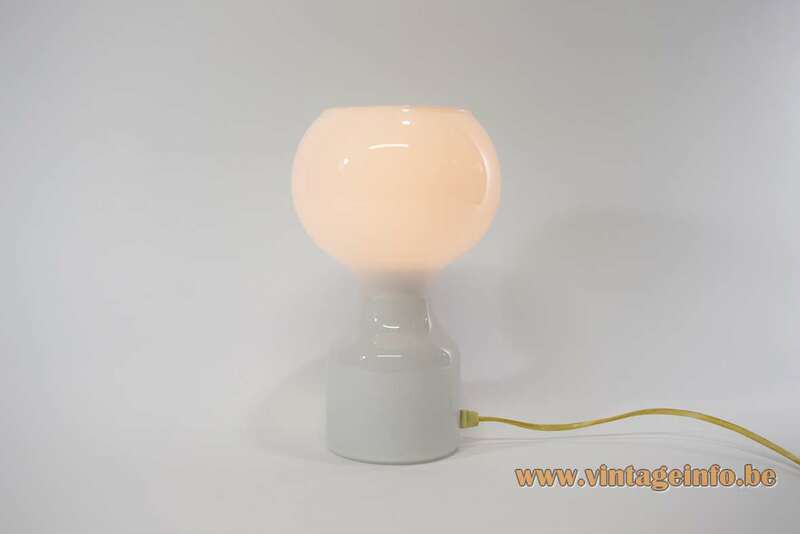 Jean-Paul Emonds-Alt also designed the Tahiti table lamp for Philips, a similar lamp also completely made of glass. Emonds-Alt also designed the logo for the Brussels Metro in 1976. Tobrouk (Tobruk) is a port city on Libya‘s eastern Mediterranean coast, near the border of Egypt. A strategic place were famous battles between the Nazi’s and the Allies took place. A movie was made about it in 1967, starring Rock Hudson and George Peppard. 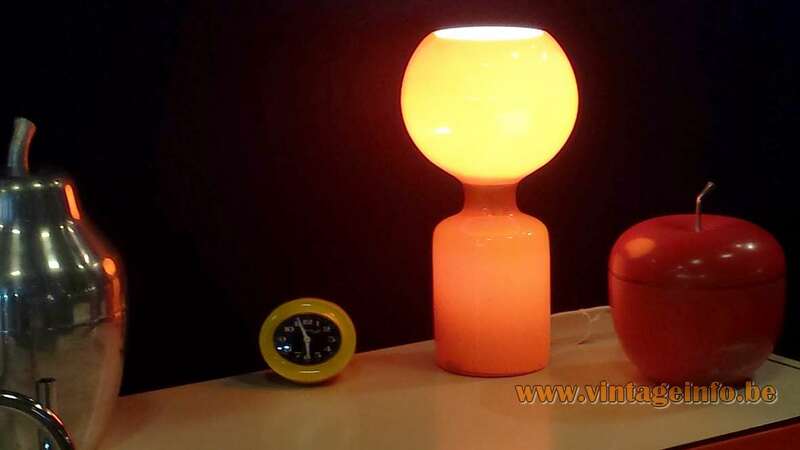 Maybe the name of this table lamp is based on this.